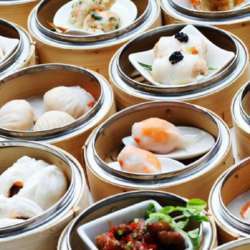 Let's start off our January activities with a(-nother) dimsum brunch at Fuyuan! If you are unfamiliar with dimsum, please google. Most of the stuff is pork and shrimp-based. It would be good if you are adept at using chopsticks. For those of you who sign up whom I don't personally know, I would ask that you please send me a message if you cannot attend and not just block a spot, depriving others of coming. This is a popular event. Note: We start eating together so latecomers will be at a disadvantage.